Our 5 bar entrance gates are all made in the UK by skilled craftsmen. The gates are made of kiln dried Scandinavian softwood which is pressure treated after assembly to ensure the longest lifespan. 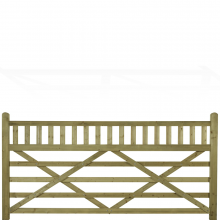 Our St George gates are symmetrical - allowing them to be hung as either right or left hand gates. 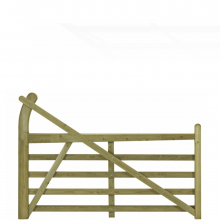 The Horned or Estate Range makes for an impressive entrance with its decorative, extended, curved hanging stile. 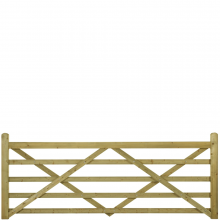 Our Equestrian Gate range is extra tall to help keep your horse in the field.